It's only two weeks until Mother's Day! If you're looking for local gift ideas, your search is over. 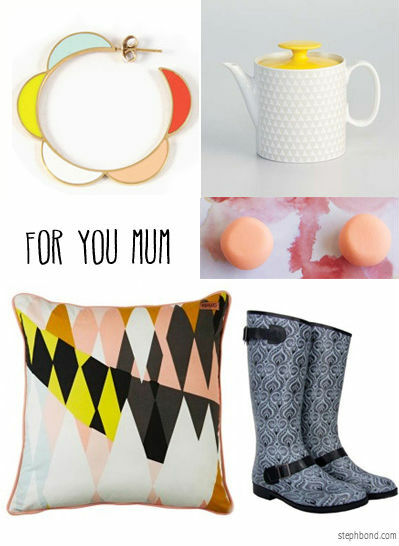 I've collated so many gorgeous Australian-designed Mother's Day gift ideas over the past 10 years. Click here to scroll through and be inspired. Love these items above? Head to my list from 2013 for links through to all these products from Naomi Murrell, MOZI, Emily Green, Kip & Co and more. Pin what you love and send the list to your significant other. Win-win for everyone! The pillow looks the best for moms. And I love the design.